Becoming Wise: An Inquiry into the Mystery and Art of Living explores how wisdom emerges through the raw materials of the everyday – the words we use, the bodies we inhabit, the many kinds of love we know, the faith we carry, the reality-based hope we can choose. Collaborative Intelligence: Thinking with People Who Think Differently is a breakthrough book on the transformative power of collaborative thinking. From the very founding of our nation, diversity has been one of our greatest strengths but also the greatest source of conflict. 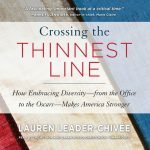 Crossing the Thinnest Line asks the question: Will diversity be a source of growth, prosperity, and progress-or perpetual division and strife? Drop the Ball: Achieving More by Doing Less is a bold and inspiring memoir and manifesto from a renowned voice in the women’s leadership movement who shows women how to cultivate the single skill they really need in order to thrive: the ability to let go. Sylvia Ann Hewlett, a noted expert on workplace power and influence, shows you how to identify and embody the Executive Presence (EP) that you need to succeed. Part how-to, part girl-empowerment, and all fun, this non-fiction book created by Girls Who Code CEO & Founder, Reshma Saujani, is an invitation to the wonderful world of coding. Guyland is based on more than 400 interviews over a four-year span with young men, ages 16–26. 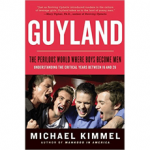 Kimmel’s study shows that the guys who live in “Guyland” are mostly white, middle-class, totally confused and cannot commit to their relationships, work or lives. In the end, Kimmel offers a highly practical guide to male youth. A remarkable new way to move beyond biases and blind spots, (especially if you don’t think you have any!) so you can communicate more effectively with a friend, lover, relative, or colleague. 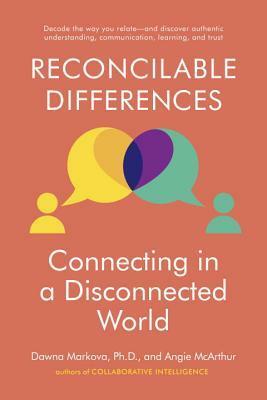 Reconcilable Differences provides the strategies you need to bridge the gap at the heart of your differences with others. Despite nearly every study done in the past three decades proving companies with women leaders deliver superior performance, the number of women in the C-suites of companies all over the world is noticeably low. Results at the Top, is written for the men who know the value female leaders bring to the table and need a tangible way to get them there. The Soul of Money, shows us that examining our attitudes toward money– how we earn it, spend it, invest it, and give it away–can offer surprising insight into our lives, our values and the essence of prosperity.